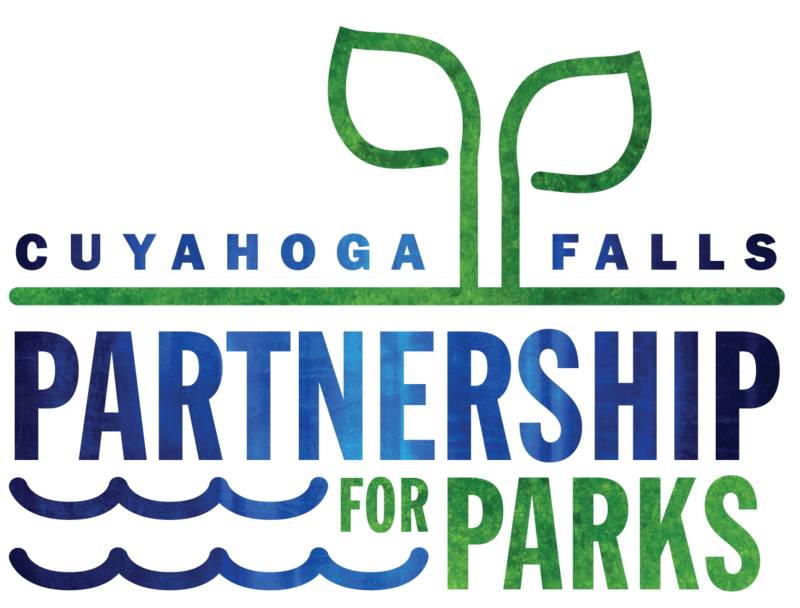 Founded in November of 2014, the Cuyahoga Falls Partnership for Parks serves as an independent, nonprofit charity built with the support of the City of Cuyahoga Falls, The Cuyahoga Falls Park Board and community leaders from across the municipality and is guided by the principles of education, innovation and conservation. The governing Board of Directors set forth the mission of the Cuyahoga Falls Partnership for Parks as dedicated to provide quality recreational opportunities that promote healthy lifestyles, shape our youth and enrich our families, and work to promote conservation through sustainable and innovative growth. The Partnership strives to develop opportunities for innovative growth by utilizing its valuable role as a nonprofit charity. This includes building relationship with community leaders and providing resources when possible. The Cuyahoga Falls Partnership for Parks is eligible to explore grants that are available to nonprofit charities, and are devised to support the Partnership’s mission. The Partnership works alongside the Park Board and the City of Cuyahoga Falls to further long-term plans and growth opportunities for programming and parks; a value-add for the residents of our community. Scholarships are made available to children who otherwise would not have access to valuable programming that builds confidence, encourages physical and mental well being, teaches imperative and cooperative life skills, and promotes safety within the community. The Cuyahoga Falls Partnership for Parks endeavors to continue our strong tradition of valuing the community’s natural resources, our parks; what makes us proud to be part of Cuyahoga Falls today.